It’s human nature – we are drawn to tragedy and decay. We roam around abandoned villages, enter buildings haunted by ghosts and dive to reach sunken ships. If you want to admire the latter without the hassle of learning to dive, we challenge you to visit some of the most famous shipwrecks in the world… from the comfort of dry land. Navagio Beach, Zakynthos, Greece | by Cristian Ghe. 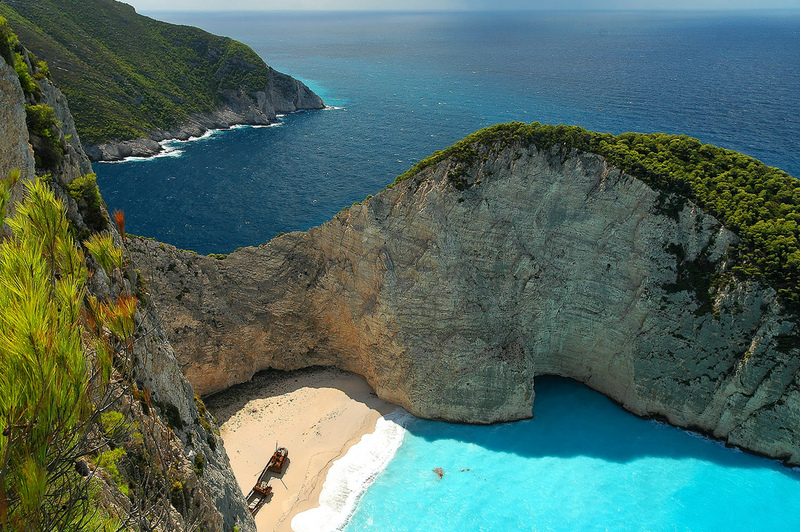 At Navagio Beach (literally translated as Shipwreck Beach), you will see the remains of a vessel called MV Panagiotis, which washed ashore many years ago. It sunk in 1980, and rumor has it that its freight consisted mainly of contraband cigarettes, although there’s little evidence of that beyond the power of a good urban legend. You can take a peek from the high cliffs above, or reach the shipwreck by boat. 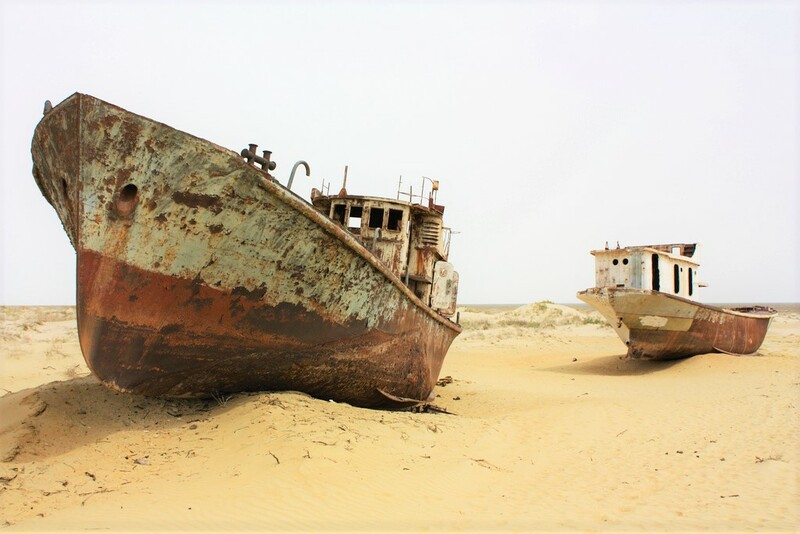 Outside the town of Muynak (or Moynaq) in Uzbekistan, as you head towards the Aral Sea, you will witness a sinister sight along the road: the skeletons of ships and fishing boats abandoned long ago in the desert. Up until about 30 years ago, Muynak was a sea harbor, but today it lies in the middle of the desert – 50 km (30 mi) from the coast – after the rivers were diverted for irrigation purposes. 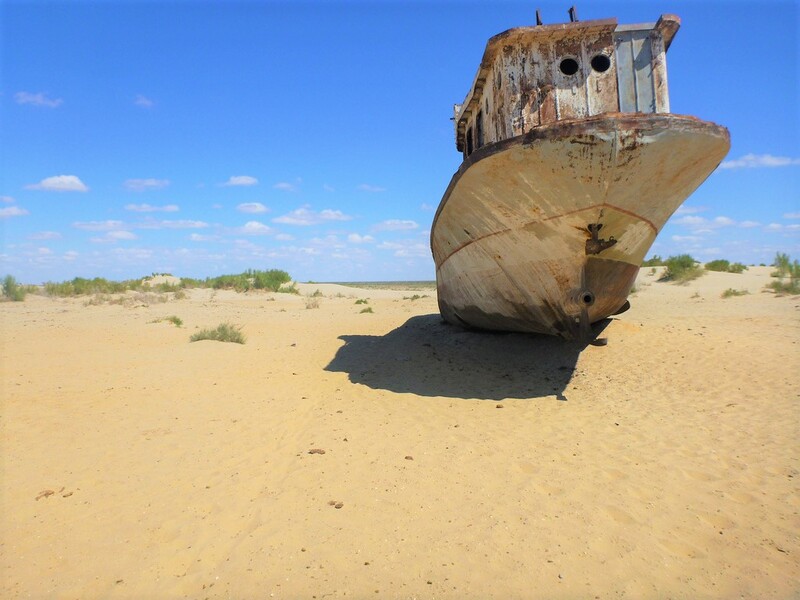 This environmentally dubious piece of policy has turned the road leading to the Aral Sea into a ship graveyard. 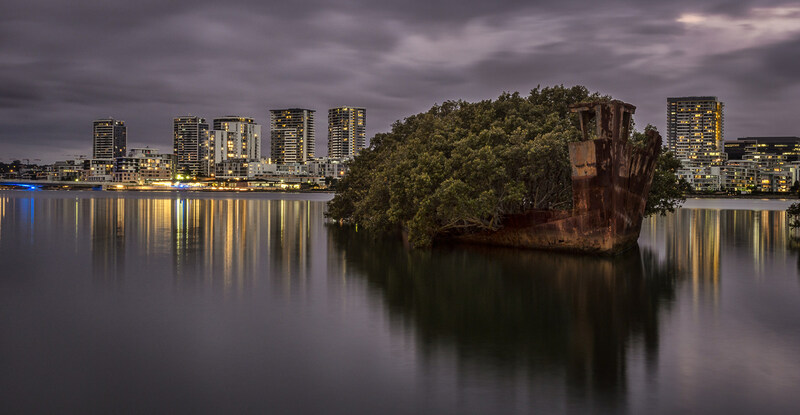 Since 1966, Homebush Bay in Sydney has been the final resting place for retired ships whose glory days were during WWI and WWII. Some of them have been swallowed by mangroves, which grow over their rusty decks. Fun fact: many Sydney-dwellers don’t know about the existence of this shipyard. There’s a point pinned on Google Maps marking the best lookout spot.